Rapid DUAX staples for use in Rapid DUAX stapler. Only staples available for Rapid DUAX. For stapling up to 170 sheets of paper. Rapid brand, made in Sweden. 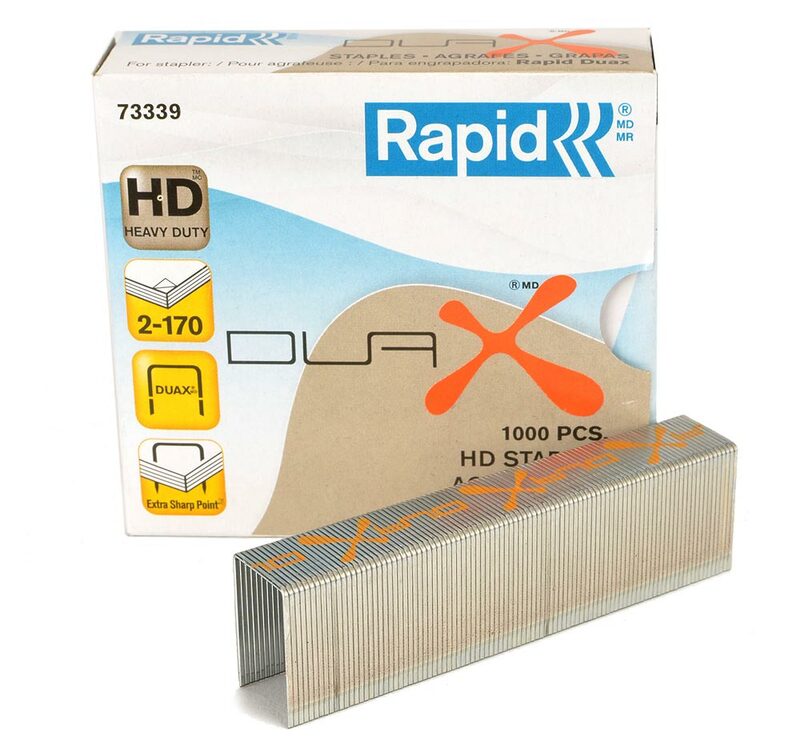 Rapid DUAX staples for 2-170 sheets of paper. 1,000/box. Made in Sweden.